Biophoton emissions are an endogenous bioluminescence phenomenon, identified in all biological samples. The biophoton origin inside cell is not totally elucidated (see section  or introductory notes of the section ) although some propositions have fairly strong evidence in their favor, most probably various sources are involved. Even though photon density within cells is assumed to be very high  photon emission outside cells is ultra-weak, because of this are also called ultraweak photon emissions (UPE). Several approaches to the phenomenon will be treated in this section, the first approach is relative to the experimental findings that support the idea that biophotonic signals are used as a communication form between distant cells or microorganisms. Investigations in the area of light-mediated communication among microorganisms has a long history. Namely, it started immediately after the discovery of mitogenetic radiation by Alexander Gurvitch in the 1920s. Those effects were measured at the beginning using only biological systems as a detector, but with the development of photomultipliers these previously inferred emissions began also to be measured electronically, especially from the decade of 1980 onwards, and the scientific literature began to refer them as ultraweak photon emissions or biophotons.
" Wonderful experiment indicating communication between chemically isolated populations comes from the protozoan Gonyaulax polyedra (phylum: Dino flagellata) showing the release of irregular bursts of photons of the same frequency (note that we talk here of bioluminescence) (Popp et al., 1994). The study demonstrated that these bursts were caused by a communication system between the cells working across glass barriers. When two populations were placed side-by-side in cuvettes with a photon shield between them, the bursts of each population were asynchronous in comparison with the other population. When the shield was removed, however, the bursts of the two populations became synchronized. Note that we are looking here at chemical reactions (leading to the bursts) that are induced by a signal that works across glass barriers. Even though the study does not reveal the function of synchronous light bursts, it shows the capability of a supra-cellular organisation based on an endogenous source most probably of electromagnetic nature." " ... was found that autotrophic unicellular organisms (Euglena viridis), separated by cuvettes, affected the proliferation rate of heterotrophic unicellular organisms (Paramecium caudatum). Further, the heterotrophic unicellular organism affected also the proliferation rate of a multicellular heterotrophic organism (Rotatoria sp.) and vice versa. In the case when populations (of Euglena viridis and Paramecium caudatum) were shielded against electromagnetic fields in the optical spectrum from each other, no effects were measured." A posterior investigation by the same author of the cited paper has resulted in a Nature publication  where it is showed that those biophotonic communication is used as a quorum sensing mechanism to regulate specimens (in this case Paramecium caudatum) population density, that is, when in one cuvette population grows in the other one decreases, and this effect is abolished when inner cuvettes were shielded by graphite known to shield electromagnetic radiation from GHz to PHz, i.e. to absorb energy from microwaves to light.
" ... the main bulk of radiation is produced in form of short-time quasi-periodic bursts. The analysis of radiation temporal structure indicates that the information about egg age and growth is encoded via the values of time intervals between neighbor bursts with the height higher than some fixed level"
Similarly a some kind of electromagnetic communication between samples (cells or complete organisms) has been found when a sample is irradiated (or stressed by external medium) and another sample that was located close, although not directly irradiated, shown some effects in relation to the irradiated sample. In  ultraviolet emission from exposed samples was detected and in  it has been show that in fact a some short of communication using ultraviolet biophotons occur because when one sample is irradiated with tritium (3H) cell death also increases in non-irradiated sample, but if a polyethylene terephthalate filter, designed to eliminate >90% of UV wavelengths below 390 nm is placed between samples, non-irradiated cells survival is unaffected.
" One way to investigate the treatment based on UPE is to "optically" enclose the sample with mirrors (Figure 1) . In this case, the sample cells receive their UPE and not from the distant isolated neighbor cells. It can be called auto-optic effect or self-NCDCI. ... Our results indicated that the genoprotective effect of melatonine in presence of mirrors had significant difference with one without mirrors (p<0.05) against the genotoxicity of mitoxantrone." Some attempts have been done also to describe a chemical mechanisms that could work as an intermediate or as a receptor of these photons to cause later the effect on non irradiated/stressed sample. In  is observed that exosomes may be related because cell survival was significantly reduced in cells incubated with exosomes extracted from cells exposed to the secondarily-emitted UV or biophotons, and lend to the conclusion that RNA of these have a role mediating the bystander effect because when is removed from exosomes the effect on the incubated cells disappear. Meanwhile in  is found that the biophoton signals emitted by irradiated cells, interfere with the processes of oxidative phosphorylation in cells receiving the signals.
" The mechanism is unknown but our group has evidence that physical signals such as biophotons acting on cellular photoreceptors may be implicated. This raises the question of whether quantum biological processes may occur as have been demonstrated in plant photosynthesis. To test this hypothesis, we decided to see whether any form of entanglement was operational in the system. Fish from 2 completely separate locations were allowed to meet for 2 hours either before or after which fish from 1 location only (group A fish) were irradiated. The results confirm RIBE signal production in both skin and gill of fish, meeting both before and after irradiation of group A fish. The proteomic analysis revealed that direct irradiation resulted in pro-tumorigenic proteomic responses in rainbow trout. However, communication from these irradiated fish, both before and after they had been exposed to a 0.5 Gy X-ray dose, resulted in largely beneficial proteomic responses in completely nonirradiated trout. The results suggest that some form of anticipation of a stressor may occur leading to a preconditioning effect or temporally displaced awareness after the fish become entangled." Also is proposed that internally in multicellular organism, independently of the external emissions through extracellular medium (where almost filled with water possibly has relatively low attenuating effect due to special characteristic of water in its relation to electromagnetic fields, see sections ) nanotubes are also used in a way to serve as optical fibers connecting cells as proposed in , similar ideas are proposed for collagen structures the of extracellular matrix (that can both conduct and modify photon pulses coming from biological sources) and the more recently discovered primo-vessels .
" The primo-vessel contains lower absorption and scattering coefficients. It appears more transparent than its surrounding dermis and muscle , suggesting that it can transport light with high efficiency and act as an optical channel." Other approach that is explored in this section is the possible use of biophoton detection as a diagnostic tool in medicine. Related to this is that of biophotonic emissions from cancer cells are discernible of those emitted by normal cells as is showed in  where is used the spectral power density variable as a detection method, which reveals differential distributions of the amplitude modulation of the flux density of the photon emissions, in  is showed that Only 1% "contamination" of a normal cell line by a malignant cell generated marked increase in photon emissions from the aggregate of cells. Some utility to diagnose cancer has been also found  where emissions not only can distinguish tumor mice from the health ones but that as breast cancer developed, the biophotonic emission from the healthy side of tumor mice also changed. There is a growing number of investigations that related biophoton emissions characteristics with the health status of the tested subject, for example in  biophoton emissions are used to distinguish cold patients from healthy subjects and they found a significant difference in the maximum spectral peak and photon emission ratio between the filter of 550nm and 495nm, which consequently can be used in distinguish cold patients from healthy people. Classical Chinese Medicine concretely have concepts that now are measurable thanks to the comparison of the different biophoton emissions and it is thought that acupuncture meridians can serve as biophoton guiding channels (see a dedicated section ). In , employing Cosic’s resonance recognition model for molecules (which proposes electromagnetic energy and information transfer between interacting biomolecules) was demonstrated that specific photon wavelengths within the visible range from mouse melanoma cells were associated with specific molecular pathways. The resonant recognition model can resolve some biological questions and may be related to the detected biophotons. (see section ). It's interesting to note that from the research made we know that body parts shaped and highly structured (and/or mineralized) emitted more photons than the relatively unstructured, flat body parts . To finish mention that there is a big field of research on biophotons with an agricultural production motivation where emissions from seeds are often measured, for example see [19,20,21]. A curious phenomena are those discovered by Galileo at al [22,23] that biophoton emissions of seeds are synchronized to gravimetric tide even if different species show different rates of germination and development, the synchrony between the biophoton emissions and gravimetric oscillations are still displayed in the different species when each of them is germinated and grown simultaneously irrespective of whether the seedlings are raised at a common location or at widely separated locations. Of course, is not the only kind of investigation related to the vegetable world, in [24,25] there are photographed "plant auras" like phenomena that in fact are biophoton fields surrounding the leafs. 3. Bókkon, I., et al. "Estimation of the number of biophotons involved in the visual perception of a single-object image: Biophoton intensity can be considerably higher inside cells than outside." Journal of Photochemistry and Photobiology B: Biology 100.3 (2010): 160-166. 4. Fels, Daniel. "Electromagnetic cell communication and the barrier method." Fields of the Cell (2015): 149-162. 5. Jaffe, Lionel F. "Marine plants may polarize remote Fucus eggs via luminescence." Luminescence 20.6 (2005): 414-418. 6. Fels, Daniel. "Physical non-contact communication between microscopic aquatic species: novel experimental evidences for an interspecies information exchange." Journal of Biophysics 2016 (2016). 7. Mayburov, S. N. "Photon emission and quantum signalling in biological systems." EPJ Web of Conferences. Vol. 95. EDP Sciences, 2015. 9. Scholkmann, Felix. "Long range physical cell-to-cell signalling via mitochondria inside membrane nanotubes: a hypothesis." Theoretical Biology and Medical Modelling 13.1 (2016): 1. 10. Van Wijk, Roeland, and Eduard PA Van Wijk. "Biophotons in Diagnostics Progress and Expectations." (2010). 11. Dotta, Blake T., et al. 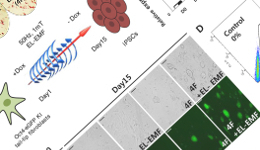 "Ultra-weak Photon Emissions Differentiate Malignant Cells from Non-Malignant Cells In Vitro." Archives in Cancer Research (2016). 12. Karbowski, L. M., et al. "Only 1% Melanoma Proportion in Non-Malignant Cells Exacerbates Photon Emissions: Implications for Tumor Growth and Metastases." Int J Cancer Res Mol Mech 1.2 (2015). 13. Yang, Meina, et al. "Spectral discrimination between healthy people and cold patients using spontaneous photon emission." Biomedical optics express 6.4 (2015): 1331-1339. 17. Dotta, Blake T., et al. "Shifting wavelengths of ultraweak photon emissions from dying melanoma cells: their chemical enhancement and blocking are predicted by Cosic’s theory of resonant recognition model for macromolecules." Naturwissenschaften 101.2 (2014): 87-94. 19. Liang, Yitao, et al. "Study on Spectrum Estimation in Biophoton Emission Signal Analysis of Wheat Varieties." Mathematical Problems in Engineering 2014 (2014). 20. Bertogna, Eduardo, Evandro Conforti, and Cristiano M. Gallep. "Simultaneous biophoton measurement of control and fluoride stressed seedlings samples." Microwave & Optoelectronics Conference (IMOC), 2013 SBMO/IEEE MTT-S International. IEEE, 2013. 21. Yong, Yu, and Wang Jun. "Ultra-weak bioluminescent and vigour of irradiated rice." International Journal of Agricultural and Biological Engineering 3.1 (2010): 85-90. 22. Gallep, Cristiano M., et al. "Simultaneous and intercontinental tests show synchronism between the local gravimetric tide and the ultra-weak photon emission in seedlings of different plant species." Protoplasma (2016): 1-11. Gallep, Cristiano M., et al. "Lunisolar tidal synchronism with biophoton emission during intercontinental wheat-seedling germination tests." Plant signaling & behavior 9.5 (2014): e28671. 24. Creath, Katherine, and Gary E. Schwartz. "What biophoton images of plants can tell us about biofields and healing." Journal of Scientific Exploration 19.4 (2005): 531-550. 25. Creath, Katherine, and Gary E. Schwartz. "Imaging" Auras" Around and Between Plants: A New Application of Biophoton Imaging." Journal of Alternative & Complementary Medicine: Research on Paradigm, Practice, and Policy 11.6 (2005): 951-953. 26. Fels, Daniel. "Endogenous physical regulation of population density in the freshwater protozoan Paramecium caudatum." Scientific reports 7.1 (2017): 13800. 27. Ahmad, Syed Bilal, et al. "Ultra-violet light emission from HPV-G cells irradiated with low let radiation from 90Y; consequences for radiation induced bystander effects." Dose-response 11.4 (2013): dose-response. 28. Le, Michelle, et al. "An observed effect of ultraviolet radiation emitted from beta-irradiated HaCaT cells upon non-beta-irradiated bystander cells." Radiation research 183.3 (2015): 279-290. 29. Zamani, M., M. Etebari, and Sh Moradi. "The Increment of Genoprotective Effect of Melatonin due to “Autooptic” Effect versus the Genotoxicity of Mitoxantron." Journal of Biomedical Physics and Engineering (2017). 30. Le, Michelle, et al. "Exosomes are released by bystander cells exposed to radiation-induced biophoton signals: Reconciling the mechanisms mediating the bystander effect." PloS one 12.3 (2017): e0173685. 31. Le, Michelle, et al. "Modulation of oxidative phosphorylation (OXPHOS) by radiation-induced biophotons." Environmental research 163 (2018): 80-87. 32. Mothersill, Carmel, et al. "Biological Entanglement–Like Effect After Communication of Fish Prior to X-Ray Exposure." Dose-Response 16.1 (2018): 1559325817750067. 33. Zhao, Xiaolei, et al. "Spontaneous photon emission: A promising non-invasive diagnostic tool for breast cancer." Journal of Photochemistry and Photobiology B: Biology 166 (2017): 232-238.